Dehydrated skin always looks tired, dull, and lined. Plumping it up with moisture is that one thing you can do to make skin look more youthful, immediately. 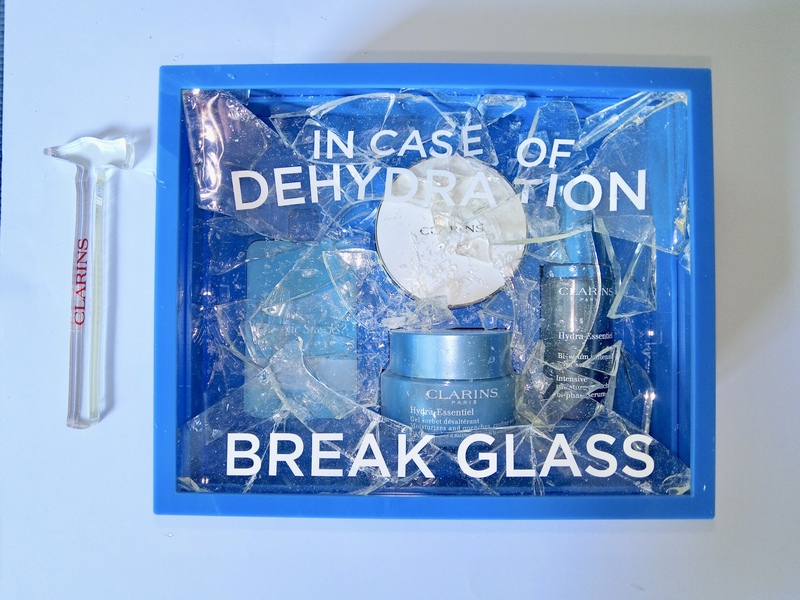 According to Clarins’ research on the skin, it is exposed to sudden changes in temperature and humidity everyday; on the commute, air-conditioning, rainy days, even post-gym. This “shocks” the skin, and it ends up dehydrated if it is not replenished with the right levels of moisture. To keep skin supple and hydrated throughout, Clarins’ new Hydra-Essentiel range contains organic Leaf of Life, an organic succulent herb with antibacterial, antifungal and antiviral properties. Sourced from the Jardins du Monde in Madagascar, the organic and fair trade Leaf of Life supposedly keeps the skin’s moisture level optimal through the “shocks”. The Hydra-Essentiel Intensive Bi-Phase Serum is a watery formula that sinks easily into the skin. I find that it plumps up skin immediately, making it look brighter and firmer. For best results (especially for those with normal to combination skin), use it with the Hydra-Essentiel Cooling Gel to seal in moisture. Both formulas prep the skin perfectly for supple skin all day, and smoother application of makeup. Watch this clip to see the products in action. Thank you, I will try that out!